Tip 2: Invite the Rain-X inside. 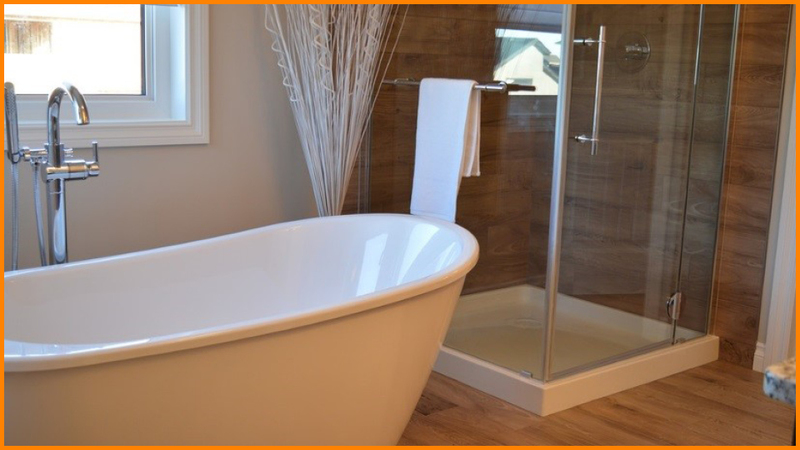 Cleaning the bathroom may be everyone’s least favorite task, so do it as little as possible! How? After cleaning your shower, tub, or sink, wipe the surface with a microfiber towel and Rain-X to help prevent soap scum from building up on your newly cleaned surface. Who knew life could be this easy? Explore our rental cleaning products to help keep your business spotless. Tip 3: Your shoes are too good for salt stains. 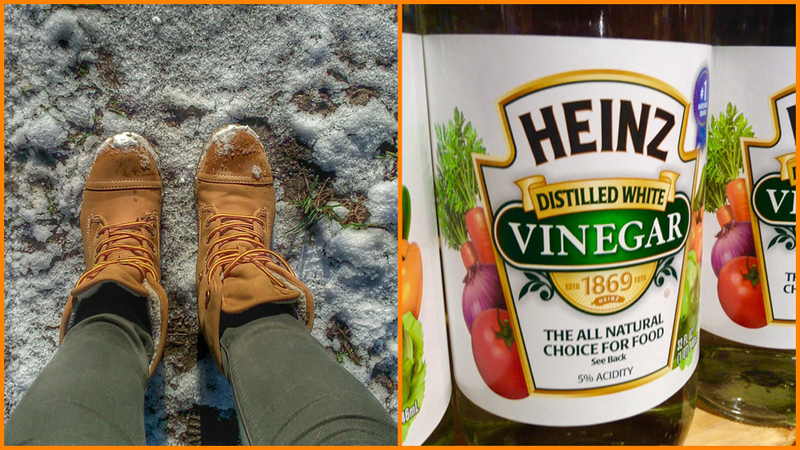 Salt used to de-ice snowy roads during winter are good for your safety, but bad for your shoes. The white patches of stains can be hard to remove, but not with this trick! Dip a microfiber towel in a 1/2 and 1/2 water and white vinegar mixture. Dab the solution onto the stains and let air dry. This easy trick also works for clothing. Tip 4: Fluff things up. After washing your bedding, dry your pillows and comforters with a couple of clean tennis balls to keep that fluff you love intact, because you’re worth it. Does your hotel need clean fluffy bedding? Check out our hospitality rental program. 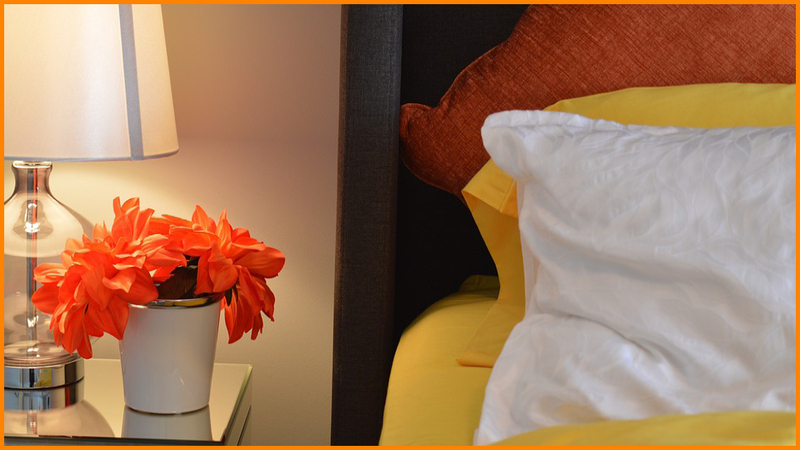 Tip 5: Help your houseguests feel like royalty. When the holidays come around, kick your kids to the couch and push together two twin beds to make a King-sized mattress for your guests. 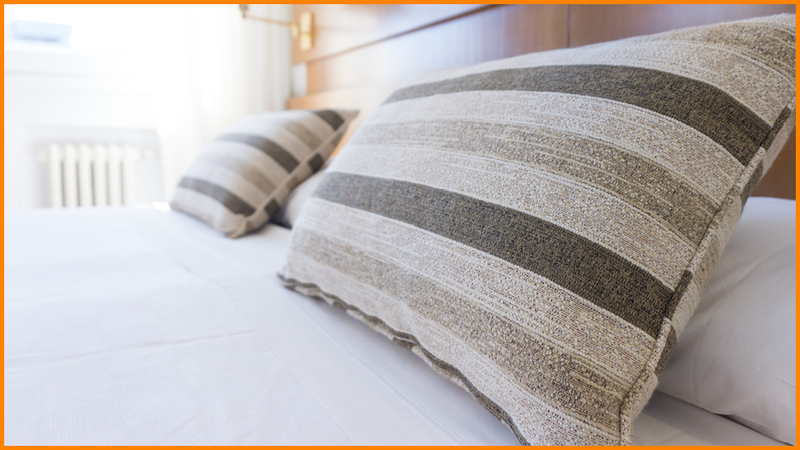 Lay mattress foam or thick blankets across the mattresses so they cannot feel the crease. Connect both mattresses by putting on a King sheet and tuck the extra at the footend of the mattress underneath. Tip 6: Don’t sell yourself short. Planning an event can be overwhelming. Make your life easier by knowing the correct length of linen you need to make sure your tables look prestine. Ask about our linen rental options using the “Request for Service” form on the right. 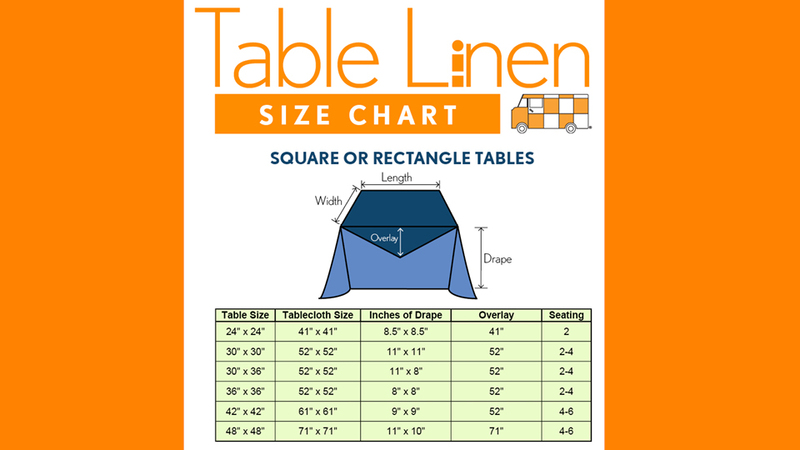 See our full table linen size chart on Pinterest.